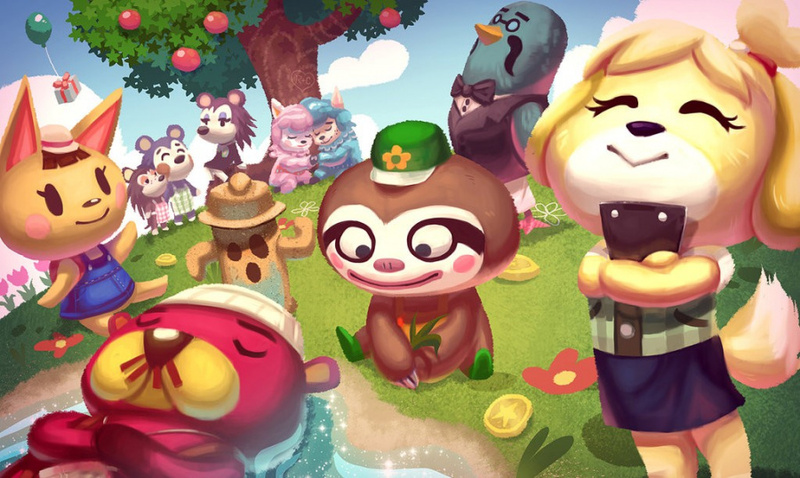 Animal Crossing: New Leaf is unquestionably one of the 3DS console's most popular games, having found a receptive global audience and attracting players of both sexes. Producer Katsuya Eguchi and director Aya Kyogoku have been discussing the game's development process at GDC, and believe that the gender split of the team has been instrumental to the success of the title. It opened us up to a variety of tastes and likings. Male and females and a variety of ages participated. We were able to leverage our diverse team, which couldn't be possible if one person was making all the decisions. Kyogoku also commented on the camaraderie which permeated the team; staff would bring in Animal Crossing-themed cakes for their co-workers to enjoy, and team barbeques would be arranged. Thanks to these team-building exercises, the tail-end of the development process was enjoyable rather than tense and rushed, as is usually the case. The game has now sold an incredible 7.3 million units worldwide to date, making it one of Nintendo's most notable successes of recent memory. @6ch6ris6 I think the point is that a game created with equal input from both sexes is more likely to appeal to both sexes...hence 7.3 million sales. I've LITERALLY only bought AC:NL this week and was wary because I'm a 29 year old Dad but it's a lovely little casual day! Love it !! @ikki5 It does if you want to make money. I know many women who play Call of Duty and Mass Effect, but not one who plays Grand Theft Auto. On the other end, I don't know a woman under 40 who doesn't own Animal Crossing. If companies could make their games appeal to broader markets, the profits would be insane. NOW BRING IT TO WII U!!!!!!!!!!!!!!!! New Leaf feels very progressive on gender issues, particularly for a Japanese game. It blew my mind when my male character decided to try on a female article of clothing in Labelle's side of the store (the clerk just assuming I was buying it as a gift rubbed me the wrong way) and was told something along the lines of: "Well, these clothes are usually reserved for women, but I feel like you can pull it off!" It's not really the ability to cross-dress that shocked me, but the easy acceptance and lack of judgment of it from the townspeople. Same deal with my female character: she could run around wearing a tuxedo and a fake mustache and nobody judged her. Mable can get a little shocked by it when you want to buy a dress, but, again, she'll say "I guess it's OK to be adventurous sometimes" and be done with it. Not her cup of tea, but there's no disapproval or chastising. Interesting, then, that there was such an even gender split in the development team. AC:NL feels honest. When you play a male character, and try on a dress in the store, Mable says something along the lines of "I guess it's ok to be adventurous sometimes." This is actually very clever, because society as of right now – east or west – does not truly accept men dressed in women's clothing, but it's not such a big taboo anymore. It's alright to be adventurous, and the game reflects this. It ever so subtly tells you that it can be ok to wear a women's dress as a man, but do know that it can cause some awkward reactions. It's one of those tiny details on this topic that games can do a much better job of conveying than any other medium, because you have to decide to try it before the reaction is conveyed. Think I would like Giftpia more but with it being untranslated I don't have the option. Maybe the wii u would of sold better if the hardware team was half female and every race and ethnicity was represented. Oh, and the sales would of been even bigger if all religions and political views were part of the team. What a joke. Diversity focuses on what makes us different. Unity, a common goal, focuses on why we are the same. I rather support unity. @russellohh I am more getting at the fact that why would it matter if it was half and half for male and female. A Talented person is a talented person, gender should matter at all. But then again, no matter what you do in this world, unless it is 50% on both sides, people complain and call it sexist....especially if it is more males vs females. @ikki5 It could potentially matter if the female project lead had a child (So mandatory leave) just before the game was to be released. (Main reason sexism is still present at the highest levels). "a situation which perhaps isn't quite as common as you'd think in Japan"
Now you got me curious about that. Is it because male having a dominate role in the video game industry or because female having less interest for it? Awell, men, women, hermaph, genderless, as long as you make a good game it doesn't matter. Then again I don't even read the credits, so I don't who is who. Having both male and female devs is absolutely important if big game companies want to make more money. Yes, you can have a team full of talented males only and that game will appeal to men everywhere plus some women. But it will more than likely be completely centered around the dudebro mentality. Now, get some women in that team who will help the game appeal to more than just dudebros (specifically women and more feminine men) and of course more people are going to buy it. The fact that more game companies don't do that is beyond me. It's just good business sense to make your product appeal to more than one demographic. @ikki5 That's because sexism is still a huge issue today and it shouldn't be. The fact that women can get shot down for a job just because she MIGHT have a child? Disgusting. Women should be celebrated for their ability to create life, not condemned for it. And having a womb doesn't make you any better or worse at a job. Anything men can do, women can do better! No, they can't! Yes, they can! No, they can't! Yes, they can, yes, they can! @ikki5 Theoretically yes, since many Zelda games have mostly male staff, I think. but not always- Spanish movies don't feel anything like American movies, and Miyazaki movies have a pacing and a narrative feel that Western movies don't, even when the plots are virtually identical. A man is perfectly capable of making an RPG that a woman likes, but on the flip side, a dozen female executives passed on Fight CLub, claiming men wouldn't relate to it. I don't know a man who hasn't seen it several times, whether a artistic, homosexual pacifist or a UFC fighter in training. Likewise, Little Women and Mean Girls both speak to women of different generations in ways male-written movies and novels never did. Seeing as how the game series is, I can understand the article. I've only played one AC game myself, the most recent entry, and it does have one of those 'widespread appeal' factors. @noctowl: no, she can't, but the father doesn't require a hospital trip nine months after his donation to the process, and even so, should a man be passed over for a job he's highly skilled for just because he may wind up impregnating a woman and taking time off his job under whatever FMLA-esque law a given country may have in place? does this reasoning not sound just as ridiculous when turned the other way around? in terms of the article at hand, i guess we won't really know how much impact the split-gender team had on this entry as opposed to a less evenly balanced team, really, since we didn't get to see what the less balanced team would have come out with in its place. that said, i did have fun with AC:NL while i was playing it, so my kudos to everyone involved, male and female alike. Now give me a AC game for Wii U. But anyways, I think it's pretty cool how the development is described here. AC is just a light-hearted life sim, I think it's good that people of all ages and genders can enjoy the game, and work on it too. The team-building activities sound great, too, and since New Leaf has definitely been the best in the series so far, hopefully they will continue with the formula. @Milk Don't worry Milk. I'm a 40 year-old, Psychology graduate, father of two who is completely addicted to AC. As a matter of fact I had to stop playing it completely for a while because I'd spend four hours or more a day playing the darn game when it first came out, I wasn't getting fine any chores around the house, lol. @noctowl True, but the man's role is minuscule compared to what the woman goes through to grow another life inside her. And that's besides the point anyway. @noctowl Diversity is about celebrating differences and recognizing that their are inherent differences between people that DO matter. When you call for unity you are asking to rub out all the good and unique things that make no one the same. That's like when someone says "I don't see race". Well then you are a bigot because someones race plays an intricate part of their daily life, especially living in a world where a person's race is something that can cause them unwarranted harm or prejudice. I played the original Animal Crossing for Gamecube and Animal Crossing: Wild World. I recently bought this...and I dont know...I wasn't sucked in to the addictive nature as I was in the past. Maybe I lost interest after playing the heck out of two Animal Crossing games. @User1988 I think it's clear from your comments, that you seem to have a sexist attitude problem of your own. I'd say it does make a difference, even if its a relatively small one. Most companies have an idea what a particular demographic likes, as apposed to what actual people in that demographic actually want. Thats how we get things like the old-school MLP or NoE's girl club. By having a diverse group we get real ideas from real people, not a bunch of marketing bull and focus tests. On a much less serious note, I like how the team has barbeques and stuff in between work. Nothing says enjoyable work place quite like that. I got the impression that every middle aged and under woman in Japan bought this game so building this happy team was clearly a successful move! Alongside Pokemon it's probably the most used software in my streetpass plaza.